Grand H.A. 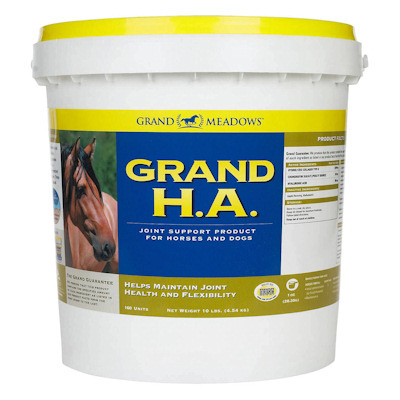 (Grand Meadows) powder provides 200mg of Hyaluronic Aicd per serving, the highest level of H.A. available. Grand H.A. contains BioCell Collagen ll, a new triple US patented Super Ingredient that includes H.A. at 1/90th of its original size, clinically proven for rapid and effective absorption, together with depolymerized Chondroitin Sulfate and Type ll Collagen. These three ingredients closely match the natural structure found in articular cartilage. Grand H.A.with BioCell Collagen ll represents a new dimension in joint support technology – a more scientific approach for ultimate joint care.